1988 University of Saarland, Faculty for Mathematics and Natural Sciences, Habilitation in Computer Science. Postdoc Advisor: Prof. Dr. G. Hotz, Topic: Design and Test of Boolean Circuits. 1983 Dr. Eduard - Martin - Award of Vereinigung der Freunde der Universität des Saarlandes for ``outstanding scientific work in his PhD thesis''. 1973-1982 University of Saarland, Department of Mathematics and Computer Science, Diploma in Mathematics (1979). Thesis Supervisor: Prof. Dr. G. Frey. Diploma Thesis Title: An Algebraic Proof of the Main Theorems of Complex Multiplication. PhD (1982). Thesis Supervisor: Prof. Dr. G. Hotz. PhD Thesis Title: On the Crossing-free, Rectangular Embedding of Weighted Graphs in the Plane. 1993-1994 Visiting Researcher at the International Computer Science Institute, Berkeley, CA. 1988-1989 Researcher and Lecturer in the Leibniz-Program of DFG (Prof. G. Hotz). 1987-1988 Visiting Professor, Computer Science Department, J.W. Goethe - University Frankfurt am Main. 1984-1988 Researcher and Lecturer in the Sonderforschungsbereich 124 (B1) VLSI Design Methods and Parallel Algorithms, University of Saarland and Kaiserslautern. 1979-1981 Researcher in the Sonderforschungsbereich 100 Elektronic Speech Recognition, University of Saarland. since 1990 Member of the Steering Committee of the German GI/ITG/GME Group on Testing and Fault Tolerance. More than 200 publications in conferences, journals and books during the last 10 years. 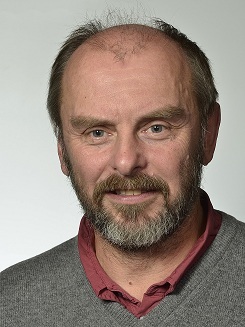 The research activities of Bernd Becker have been primarily in the area of computer-aided design, test and verification of (digital) circuits and systems (VLSI CAD). A focus of his research is the development and analysis of efficient data structures and algorithms in VLSI CAD. The development of symbolic methods for test and verification of digital circuits and their integration in the industrial flow is one of the major achievements of his work. More recently, he has been working on reliability issues of embedded systems (in particular formal methods for safety and security concerns) and test techniques for nanoelectronic circuitry. He has published more than 200 papers in peer-reviewed conferences and journals. He has been the holder of several research grants from DFG, BMBF, EU and industry as well. Introductory computer science, computer architecture, embedded systems, verification, test and reliability.